Why Should You Choose Custom-Moulded Over Disposable Earplugs? 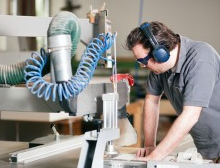 Custom-moulded earplugs, sometimes called Personalized Hearing Protection, are just as, if not more, effective for the prevention of noise-induced hearing loss as are disposable earplugs. There have not been head-to-head studies of the relative effectiveness, but two major long-term retrospective studies of the effectiveness of hearing loss prevention programs can provide insight. Read Complete Whitepaper by Dr. John Franks. In 1989 Franks, Davis and Krieg (Franks, 1989) reported that noise-exposed employees of a company that provided custom earplugs to all of its employees had changes in hearing over a ten-year period that were no different from their non-noise-exposed colleagues and peers. The company had six facilities around the United States with noise-exposed employees as well as a cadre of employees of similar age and gender who were not exposed to workplace noise. All of the employees studied had been with the company for the ten-year period studied. Audiometric, health and hobby histories, as well as noise-exposure levels were known for all employees. A ten-year segment of the records was used for the analysis. It was company policy to provide custom earplugs for use at work or home as well as to provide disposable earplugs to employees to use outside of work. 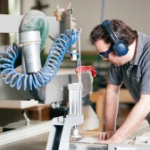 Analysis of the data revealed that the changes in hearing that were observed were not due to exposure to workplace noise. Having resolved that and adjusting for age, statistical analysis showed hypertension and diabetes increased the propensity to have worsening hearing for women. For men, the factors were hypertension, diabetes, and use of firearms. In 2011, Heyer, et al. (Heyer N, 2011- view abstract) reported a retrospective analysis of hearing conservation programs for three different companies, all of which relied upon premoulded or slow-recovery foam disposable earplugs to protect employees from noise-induced hearing loss. > Company 3 was a major food processing company. All of the employees had been at the study sites for longer than the period of time studied. Noise-exposure and hearing protector use histories were established for each employee as were audiometric records including relevant medical and hobby histories. In this study there was not a cohort of fellow non-noise-exposed employees, so the outcome was compared to a standardized set of data (American National Standards Institute, S3.44-1996 (R 2006)). The noise-exposure levels in the three companies studied were similar, as were they to the noise-exposure levels in the Franks, et al. (1989) study. Heyer, et al. found that two factors were associated with changes in hearing: age and noise-exposure level. Because of the strong effects age and noise-exposure level had on the data, it was not possible to assess the influence of other factors. Had the pre-moulded disposable earplugs been used as effectively as the custom-moulded earplugs, then noise-exposure level should not have been a main effect associated with changes in hearing; with age factored out, noise-exposure level was as much a primary risk as would be expected for the unprotected. Read Complete Whitepaper by Dr. John Franks.